he platform is very effective and is being adopted by various organizations to bring in complete transparency by decentralizing the data using blockchain and delivering a basic platform to all the stakeholders involved to share information promoting ethical business conduct. It reduces exploitation in the forms of poor working condition, harassment, low wage payment & child labour, and serves as a hub for various small- and medium- size retailers, suppliers & workers to trade together in the Namahe Ecosystem and by creating tools & interfaces for each tier and empowering all stakeholders through the use of blockchain. It enables the retailers and suppliers to trade together in a secure marketplace with conﬁdence eliminating unwanted expenses on travel trips or paying commissions to the mediators. Namahe also provides its clients the additional advantage of ensuring full transparency of their supply chain. Strengthened by permissioned IBM Hyperledger blockchain platform and Google Artiﬁcial Intelligence (AI), Namahe works as a silent monitoring system in real time with an advanced general intelligence to detect delays, fraud or unusual events, such as extreme weather events or floods, that may influence the functioning of the supply chain and triggers a chain of corrective measures involving notiﬁcations and programmed actions based on its prediction accuracy, and thus boosts the supply chain. Namahe offers a huge potential to industries by compelling underperforming or inhumane supply chain members to either improve or run the risk of losing their business contracts and signiﬁcantly reduces the unwanted audit cost and expenses. The ethical supply chain loaded with the blockchain technology provides a public decentralized ledger empowers its users to keep track of key performance indicators including the number of working hours along with the amount of work performed to ensure the payment of correct wages. Hence, Namahe guarantees a fair minimum wage for workers, improving their life standard and preserving their human rights. By providing a single transparent platform to its users, it helps in identifying new business partners and assessing each other’s competence level resulting in an overall improvement in the supply chain efﬁciency. work performed to ensure the payment of correct wages. Hero MotoCorp Limited, formally known as Hero Honda Motors Ltd is the world’s leading two-wheeler company based in India, powered with a robust portfolio and global presence marked in 35 countries across 3 continents. The company has monopolized leadership at the apex spot for no less than 16 consecutive years and counting, with a whopping 70+million cumulative sales since its inception. The year 2011 was special in more than one ways with a licensing agreement getting signed between Hero and Honda. As a result, ‘Hero Honda Motors Limited’ was renamed as ‘Hero MotoCorp Limited’. In the same year, Hero crossed the landmark figure of 5 million cumulative sales in a single year, Global Parts Center was inaugurated in 2014, and a landmark of 60 million 2-wheeler production was achieved in 2015 and CIT was inaugurated in 2016. Hero manufactures a range of popular two-wheelers like Karizma ZMR, Extreme Sports, Splendor Ismat 210 alongside the famed launch of its iconic Impulse, Ignitor and Maestro models in 2012.Based on the Green Building concept, Hero plants cover at least 1,16,500sq meters of Green Roof using Hydroponics technology andoperate with minimal water requirement, extend an oxygen greenwall along with photovoltaic solar power, water recycling and rainwater harvesting built-in with a special visitor skywalk. Through its Value for Money initiative, the company offers a 5 Year Warranty, 5 Free Services, one-stop insurance solutions and the Hero Good Life Program which has been declared as the winner in the Category “Best Loyalty Program in Automobile Sector” 2016. The Hero Joyride Program is a Pan-India Smart Card based Annual Maintenance Package offered by Hero Authorized Service Centers for servicing Hero vehicles. Apart from other CSR initiatives, Hero launched a special drive, #Herosalutes, as a mark of respect for the Indian armed forces, at the time of surgical strikes against terrorist positions on September 29, 2016. The campaign served as a platform for echoing the sentiments of 1.2 billion-strong Indians. Hero Cycles had started its joint operations with Honda in 1984 as Hero Honda; however, in 2010 Honda decided to move out of the joint venture, and Hero Group bought the shares held by Honda. Subsequently, in August 2011 the company was renamed Hero MotoCorp with a new corporate identity. Established in the year 1986, Motherson Sumi Systems (MSSL) is the flagship company of the Samvardhana Motherson Group. It is a joint venture between Samvardhana Motherson Group and Sumitomo Wiring System of Japan. The company is headquartered in Noida, India. The brand deals with the production of Electrical Distribution Systems and Polymer Processing. 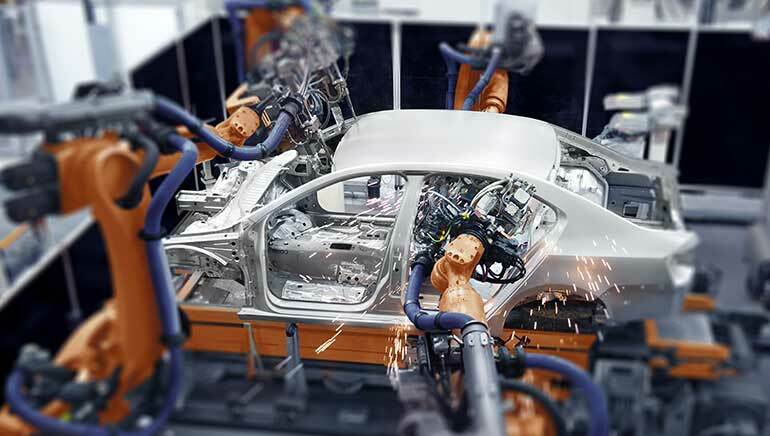 Motherson Sumi is a leading automotive mirror and wiring harness manufacturer and also supplies plastic components and modules to the automotive industry. The first group company ‘Motherson’ was established in the year 1975 but Motherson Sumi did not come into existence till 1986. After the inception of Motherson Sumi, the group has successfully expanded its business in various automotive fields. The company crossed the first milestone when it established the first overseas office, in 1999, in Austria. Motherson later went on to start operating in Germany, UK, Australia and several other countries. Recently in the year 2014, the company started a new plant in Noida for Injection Molding. The company has a widespread network of 230 facilities in 37 different countries with 24 design centers, where more than 100,000 dedicated professionals work to provide quality and service to millions of customers, across the globe. The company believes in joining hands with firms that are doing good work in the same field and expand its growth opportunities further. Over the years, MSSL has successfully collaborated with global technology leaders to further enhance its competency, to create technologically sound products in state-of-art facilities, and advance their infrastructure to ensure superior efficiency and total customer satisfaction. 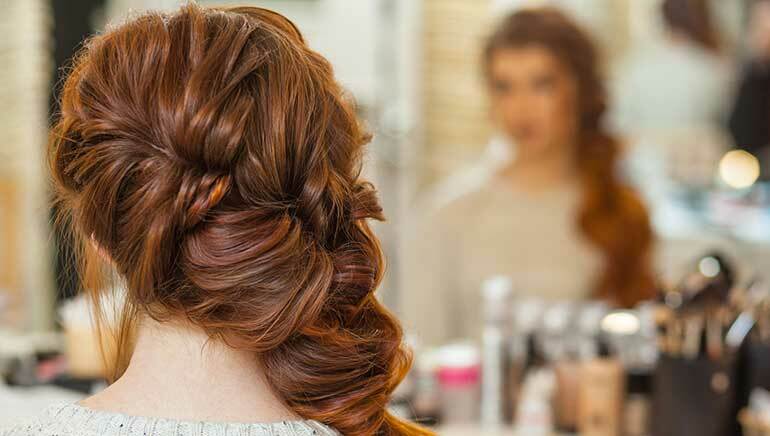 The major key to the success of the company has been their intelligence of using vertical integration in their favor. It helps the brand to control the quality of their products. Over a period of time, MSSL has established a strong vertical integration for the critical raw material inputs, engineering design, processes and equipments to meet the customer’s expectations. MSSL has been highly acclaimed and hailed for their excellence, by the leaders in automobiles like Maruti Suzuki and Honda. 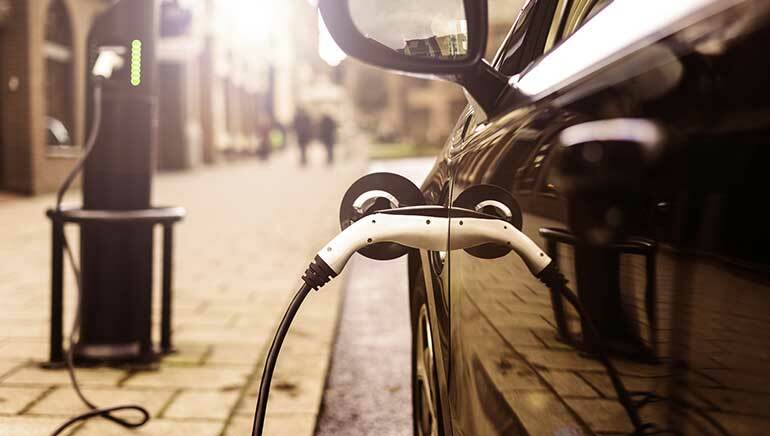 The fledgling marketplace for electrical cars continue to be in production, however, the aroma is sure to unfold as they’re the futuristic cars, which will revolutionize the traditional vehicles running on hydrocarbon and gradually move towards the greener electrical cars. Mahindra electric has become the flag bearer in India; by taking the greener road-marching ahead with the intercalated aim of “Transforming Mobility” and their mission of becoming one of the largest selling Electric Vehicle brands of the world and ensuring to safeguard our planet’s future. Raising concerns are surrounding the environmental issues, and external factors ratcheting up the emissions and leading the resources towards exhaustion; is ultimately leading to a societal collapse. Switching to electric cars is not only environment friendly but in the larger picture very cost effective too. Mahindra Electric is relentlessly working towards sustainable solutions to provide a comfortable and safe ride with an affordable green car. The gargantuan gears of this journey towards Mahinda Electric were taken when Mahindra Group joined hands with Reva Electric Car Company in 2010, and renamed it into Mahindra Reva Electric Vehicles. Eventually, it gave birth to a line of Electric Vehicles with a wide range of vehicles offered underneath one banner, the Mahindra Electric. With its visionary far-sighted approach and a charismatic leader like Dr. Pawan Goenka, MD of M&M; Mahindra Electric has one of the worlds’ largest deployed fleet of electric cars- customers in more than 24 countries, and driven more than 200 million kilometers, with zero emission. Their product portfolio includes: e-2o Plus- a hatch-back, built from ground up by Mahindra electric; e-Verito- the all-electric version of the Sedan Vertio; eSupro-the electrified variant of the passenger vehicle Supro. For a maximum optimization of vehicles, the cars are enabled for fast charging, GPS tracking capability, maximum driving efficiency, real time information of the charging status, position of the car and affordability. Protection, preservation, and augmentation of biosphere resources are an urgent imperative and the electric cars are definitely a futuristic solution. 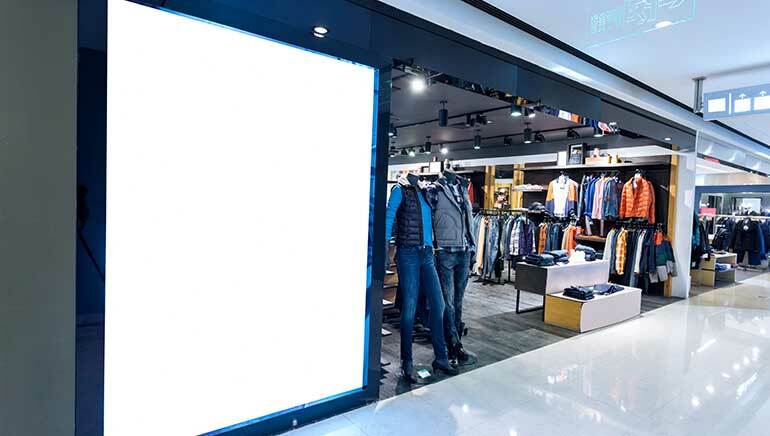 Having put themselves into the shoes and psyche of the Indian consumer, the Future Group has created retail spaces with indigenous brands that have brought convenience, comfort, hygiene, and the power to choose at the best price; acquiring a diverse array of buyers under one roof. They have become the pioneers to carve a retail revolution in India and consolidated an industry of retailing for all; crisscrossing the dividing line between the masses and the classes. The creation of a comprehensive retail outlet was an idea created for ordinary people by the thought of an extra-ordinary mind of Mr. Kishore Biyani, the founder of the Future Group in Mumbai in the year 1987, with Pantaloons (formal trousers for men) and gradually streamlining as the Future Group in 1994. Under the exemplary leadership of Mr. Biyani, the Future group has gauged the pulse of the Indian consumer and has created platforms where every member of the family is bedazzled by the variety of goods in a comfortable ambience, and is frenzied into their own space of fulfilling their shopping spree. This sterling strategy by the Future group has created a rewarding avenue for the pockets of both – the consumers and the buyers. They have minimized the role of the middle men by procuring goods directly from the manufacturers and passing on the benefit to the consumer. The instinctive spark of the company soon created fire and the collective staggering impact of their business can be estimated by the fact that around 300 million customers walk into their stores each year and choose products and services supplied by over 30,000 small, medium, and large entrepreneurs and manufacturers from all over India. Through more than 17 million square feet of retail space spread across 240 cities, their business formula was peerless and highly successful. The Future Group has touched the most sensitive chord of India. Their retail chains like Big Bazaar, Central, Easy day, Food bazaar, Brand Factory etc are names that evoke trust and value for money all over India. Established in the year 1980, the Lodha Group is a privately-held real estate developer based in Mumbai and is one of the largest construction businesses in every part of India. The company has its presence in cities like Hyderabad, Pune, and London. Lodha Group dedicates itself to the construction of houses and commercial spaces and has successfully delivered to its customers. Their top class designs and focused architecture on safety attract new customers for its projects. The company is one of the most profitable players in the Indian market and the largest by sales in three consecutive years. Lodha’s vision of ‘Building a Better Life’ serves across the country with many remarkable landmarks that give the testimony of Lodha’s constant efforts to build a better life for its customers. The group, in 2013 broke the national boundary and extended its reach to the international market with the acquisition of the landmark McDonalds House in Prime Central London. Lodha has a team that believes in delivering the best and keeping the mast high. The company is one of the largest corporate entities in Mumbai, with over 3,870 direct associates and over 25,000 workmen at its sites. More than 1,800 engineers, 800 management professionals and 150 designers and architects strongly hold together the fastest emerging real estate power of the country. 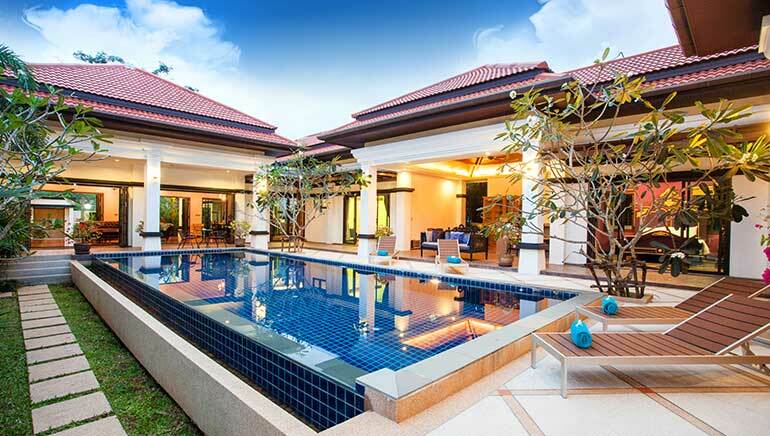 Though, the company is majorly focused on posh and luxury homes for the upper class, it also introduced CASA, offering the mid-income consumer luxury home with easy reach. Out of the several magnum opuses the company has created, some of the recently completed projects are; Lodha Aria, East Parel; Lodha Paradise Thane; Lodha One JVPD Scheme, Juhu, and many others… There are several other projects that are in the pipeline. The company through its several initiatives is directly impacting the lives of thousands of individuals to have a better quality life. The CSR initiative of Lodha Group focuses on Health, Education, and Livelihood. Lodha’s clean title land, world-class design, excellent execution, differentiated branding, and marketing together works well, to create the best value for customers. Adani Realty is the real estate wing of the magnanimous Adani Group. They began venturing into this sector around 6 years ago in 2011, and set their footprints delightfully deep to excel and explore the world of providing living spaces that were built to cater to the desires of residing in a place, which suited aspirations of every individual. Pushing into a saturated market of real estate and leveraging on the trust people had in Adani Group, Adani Realty have captured the hearts of the people with their super performance and have emerged as one of India’s leading brands in the real estate sector. The Adani group founded in the year 1988 is synonymous with the globally integrated infrastructure business, and with a revenue of $10 Billion, they have spread their wings into the infrastructure and development sector to make an indelible mark and are presently developing over 69 Million sq ft of residential, commercial, and social hub projects across Mumbai, Ahmedabad, Gurgaon, Kochi and Mundra. With a galloping zeal, meticulous planning, sustained growth, innovative thinking, advanced technology, timely execution, and use of superior quality raw material, they have created a trusted and an invincible brand, delivering 10 million sq ft of space within a span of 6 years of their inception. The Adani Realty conceptualizes and visualizes beyond the four walls of bricks and constructs homes that use every inch of space with immaculate precision, workplaces that are positively designed adding confidence and with the backing of a dedicated and expert team, they plan to reach a target of Rs. 20,000 crore in next five years with over 200 Lakh sq. ft of development. In this short period, their accolades and awards exhibit their tall journey of achieving zenithal heights with a promising future. They aspire to move forward with a renewed vigor and commitment to develop iconic projects. They were awarded “Developer of the Year” for the projects – Western Heights, Oyster Grande, and The North Park. They have won over both Commercial and Residential segments with their state-of-the-art creations. Adani Realty is the brand that is expected to have a 5-fold success in a short span of time and increase the brand value with their quality propositions. Godrej, a Mumbai based company and a household name all over India, carries a legacy of trust and commitment for the last 120 years. 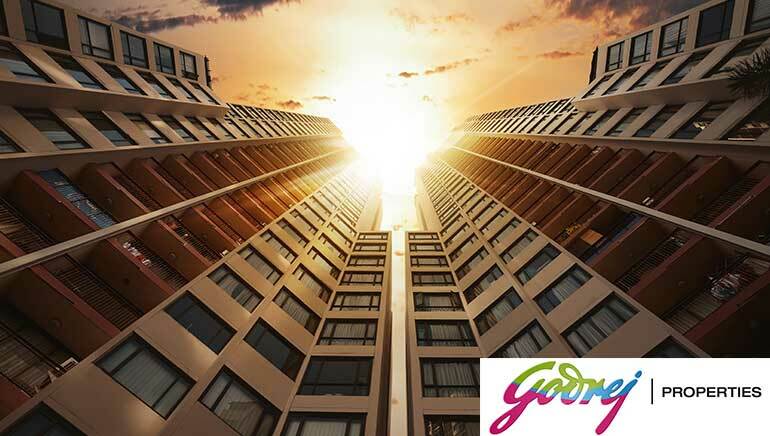 With the philosophy of innovation, sustainability and excellence and blessed with these experiences up their sleeves, Godrej began their venture into the real estate in the year 1990 under the leadership of Adi Godrej. Real estate is not an easy ploy, convincing a client to invest their lifetime savings and meeting their paradigm promises made with good faith in the venture; utopian dreams are built around the fulfillment of the customer’s needs. Despite the cutting edge competitiveness, Godrej Properties has acquired the most trusted name in the industry primarily because of the superior value they offer to their stakeholders; the extraordinary imaginative spaces they have created keeping in mind the customer’s needs and offering them a deal they cannot refuse. 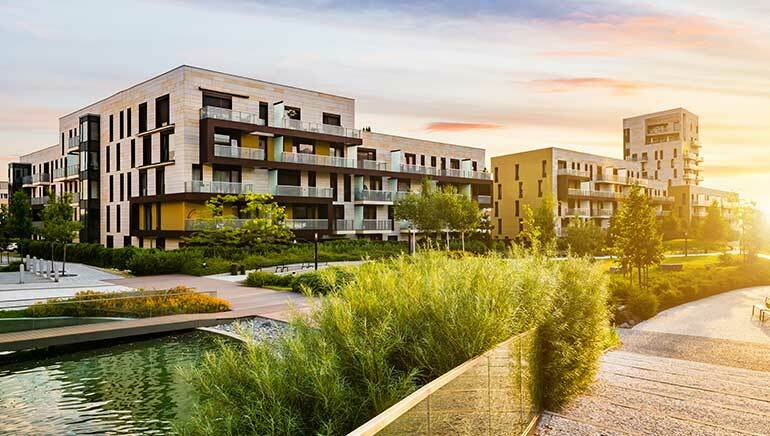 Delving into the latest designs using superior technology Godrej properties has created-residential, commercial, and township project spread approximately in 14.36 meters across 12 cities of India. It’s a brand trusted by customers, business partners, and financial communities; hence, Godrej ensures that they collaborate with the best material service providers, and the execution of their projects is done timely. The Godrej Community believes in sharing with its clients all their internal and external deals transparently and forming long-term honest relations. They build their edifice not only by using strong brick and mortar but an equally strengthened and highly qualified team that is constantly reviewed, trained and awarded to execute the best results in the industry. In the last 5 years, Godrej properties have stormed the arena of real estate and have received over 200 awards and recognition; a feat no other company could have achieved in such a short span. Godrej Properties has firmly built the belief that it’s the right choice to put your hard earned money into. Initially, it was founded as Sea Breeze Constructions and Investments Private Limited in 1985. India’s leading company for consumer products in beauty and wellness space, empowered with freedom and opportunity and working responsibly towards its – stakeholders, consumers, and society at large. Marico is a market leader in the FMCG sector. Having achieved the compounded annual growth rate of 9.3%, it stands tall with the annual turnover of INR 59 billion, currently. Marico has taken over the FMCG market by storm, serving the consumers with an exceptional range of products in hair and skin care, edible oils, health foods, male grooming and innovation in fabric care. Bombay Oil Industries got a new edge, when Harsh Mariwala, a fresh graduate, took over his family business in 1971 and launched Parachute Coconut Oil in 1974. He replaced the traditional tin packing with a blue bottle; signaling a holistic and strategic sync with the changing customer preference and emerging market trends. In 1988, Marico Industries was born, laying the foundation of “3Ps – People, Products, and Profits”. As the company’s stature grew, it shifted its headquarters from Masjid Bundar Bazaar to upscale Bandra in 1992. In 1992-94, Marico emerged as an international marketer by setting up its first overseas office in Dubai. The year 1996 saw Marico being listed on the Indian Stock Exchanges. In 2003, Marico Innovation Foundation, a not-for-profit institution was set up as a breeding ground for creative innovations in the country. The company also set up – cobra collection centres for direct dealing with farmers, thereby, increasing their profit share. The company has achieved a rare feat of a 32% reduction in energy consumption, over 5 years. At the Perundurai plant, the energy source was moved from Tamil Nadu Electricity Board to renewable power from wind energy. The company’s Coconut Extension Program also bore fruit and yielded a 25% increase in the overall production. Marico is also amongst the Top 100 companies to work for women in India, as per the 2016 study by Working Mother Media & AVTAR Best Companies for Women in India. Suzlon Energy Limited began its operations in 1995 in Gujarat, at a time when the world’s renewable energy arena was dominated by well-established international players. By the year 2003, Suzlon’s expansion led to the installation of its first wind turbine generator in the USA. Having established a capacity of around 17GW of wind – globally, with 24/7 surveillance of wind turbines across the world and several upcoming solar installations, Suzlon’s empire now spans 6 continents covering 18 countries, standing tall as one of the world’s largest producers of wind turbines. In India, Suzlon has grown to be recognized as the largest wind asset management base in the country with an impressive 36% market share. It is the custodian of the 4th highest installed power capacity in India. Around 11,000 MW of its installations are spread across key Indian wind states including Andhra Pradesh, Gujarat, Karnataka, Kerala, Madhya Pradesh, Maharashtra, Rajasthan, Tamil Nadu and Telangana. Suzlon has set up 15 manufacturing units in India and China supported by 8 R&D facilities in the country alongside Germany, Denmark, and the Netherlands. It has also successfully established subsidiaries in Spain, Portugal, Turkey, Nicaragua, Romania, and Bulgaria. The company recently launched the S111 2.1 MW in North America where it encompasses 21 states, three provinces, and two countries. 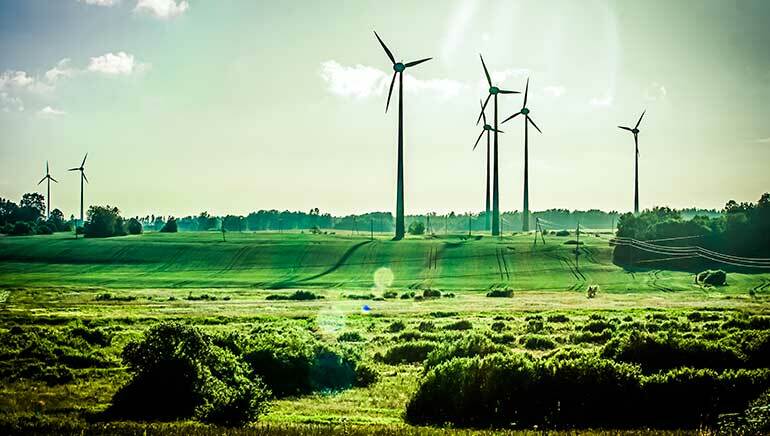 Suzlon Energy Australia has captured 25% of the Australian wind energy sector, marked by a particularly humble start with 10 employees and progressing to a workforce of over 350 in 2011. Suzlon is also pursuing extension plans in Russia, CIS, MENA and South East Asia domain. Suzlon has also ventured into solar energy sector, having received orders totaling 515 MW and providing services such as Solar irradiance assessment, installation, and commissioning, tax rebates, tariff calculations, proactive and reactive maintenance among others. Suzlon has had an extensive share of its proud moments with the commissioning of its 10,000th WTG at the Artilleros wind farm in Uruguay, signing agreements with Dilip Shanghvi Family and Associates (DSA) for equity investments of Rs. 1,800 Crore.